You better? You better? You bet. 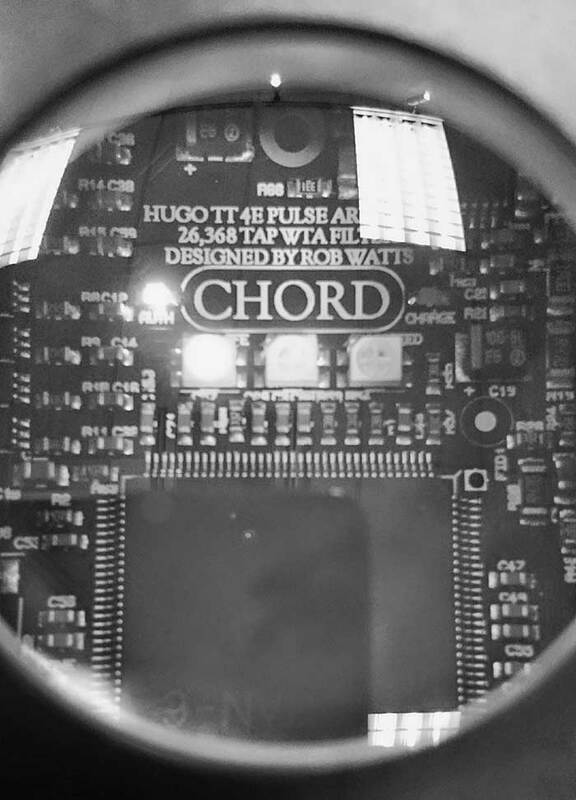 Here we have the Chord Electronics Hugo TT. A version of the Chord Hugo (which you can read about in an earlier blog here) but with several enhancements. The first question off everybody's lips seems to be, is it better than the original Hugo. As a portable headphone amplifier come dac the Hugo certainly excelled and if you found it useful in its other guises i.e. stand-alone dac or dac come pre amp then you were most definitely onto a winner for not a lot of money (in relative terms). The TT builds on what the original offered by making it a better proposition when putting into a system. Like the Hugo the TT is a headphone amp/dac/pre amp but with more than a couple of tweaks to make it a more suitable fit in a home system. It's bigger than the original Hugo and picking it up you can certainly tell that it is milled from a solid block of metal. Though it still runs off a battery it is not really portable. It feels reassuringly solid and well built as all Chord products do. Unlike the Hugo it has a display to show you what input you have selected and if you wish it will display the sample rate of the music you are playing. It also comes with a remote control. On the front panel you have 2x large headphone sockets and 1x mini headphone socket, along with the afore mentioned display, an input selector button and a cross-feed selector. Around the back you have a (technically correct) BNC coaxial input an optical input and 2x USB B asynchronous inputs (more of which later). They have not forgotten about outputs as you get a pair of fully balanced XLR's and a pair RCA's. Although the dac circuitry is the same as the Hugo the TT has been substantially changed in other areas. The battery has double the power of the Hugo and is backed up with a supercapacitor. These two tweaks enable the TT to cope better when the music demands, making the unit more capable in the way it handles dynamics and transients. The headphone amp is more powerful meaning it will drive even the most demanding headphone while always having something in reserve. I mentioned the 2x USB inputs. One is labelled SD and the other HD. They both handle music up to the same resolution but the HD input has been galvanically isolated ridding the sound of all of the inherent interference you get with USB outputs you find on computers. I didn't know that the usual implementation of galvanic isolation only works up to 48khz or 96khz at best, Chord have managed to get it working up to 384khz. Quite a feat and you can hear it. The TT sounds no less informative than the Hugo but does so in a creamier way. It definitely sounds more in control with no edgyness to the sound what so ever. We have used it in the shop with an array of different products. As a dac we have used it with various streamers to great effect. It will also work flawlessly with the Melco N1A audio Nas we have in store (This product is definately worth a look if you haven't seen it already link here). Combined with the Melco the Hugo TT could give you the perfect streaming solution. We have tried it with various power amps and active speaker systems and it never sounded out of place. Of course we have tried it with lots of different headphones, including: Audeze EL8's and LCD 3's, Fostex ATH900's, Sennheiser HD600's, 700's and the difficult 800. It dealt with everything really well without drawing attention to itself and is a pleasure to listen to. As ever don't take my word for it. It's here at the Bristol branch so come on in and have a listen. Also available at our Brentwood, Brighton, Cardiff, Reading, Southampton, and Swansea stores.